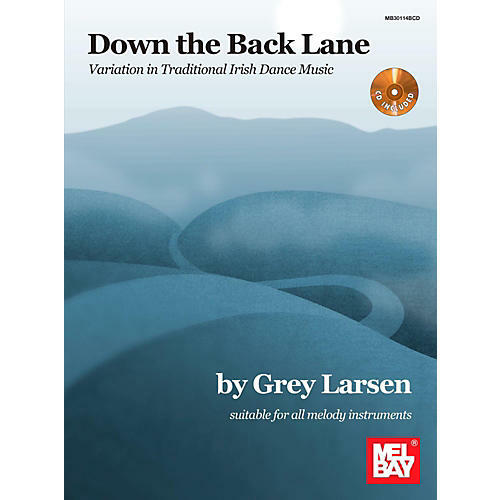 From the author of The Essential Guide to Irish Flute and Tin Whistle comes a work for players of all melody instruments that probes deeply into the art of variation in traditional Irish dance music.At the heart of Down the Back Lane are the accompanying audio recordings. The author plays eight traditional tunes on Irish flute and tin whistle, each three times through, complete with beautiful variations. He notates each performance in meticulous detail and offers insightful comments on each one. We get a rare and intimate view into the intuitive musical mind of a masterful player, along with extensive information on ornamentation, phrasing, articulation, dynamics and much more. Though the author plays the tunes on flute and whistle, he has carefully designed the book to be useful to players of all melody instruments.